Here at Carpet Fit Wales, we offer a huge range of different flooring, all with its own benefits, and our luxury vinyl is no different. It is comfortable underfoot, a heat insulator, helps to reduce noise, is easy to look after, is water resistant and comes in lots of different styles. This comforting flooring can bring the look of wood or tile to your home, plus with a durable wear layer, cushion vinyl can withstand the demands of family life and makes the floor easy to keep clean, as well as helping it to resist scuffs and marks. A foam cushion layer on the underside helps to make the floor more forgiving underfoot and provides thermal and sound insulation, for a quieter, warmer and more comfortable home. 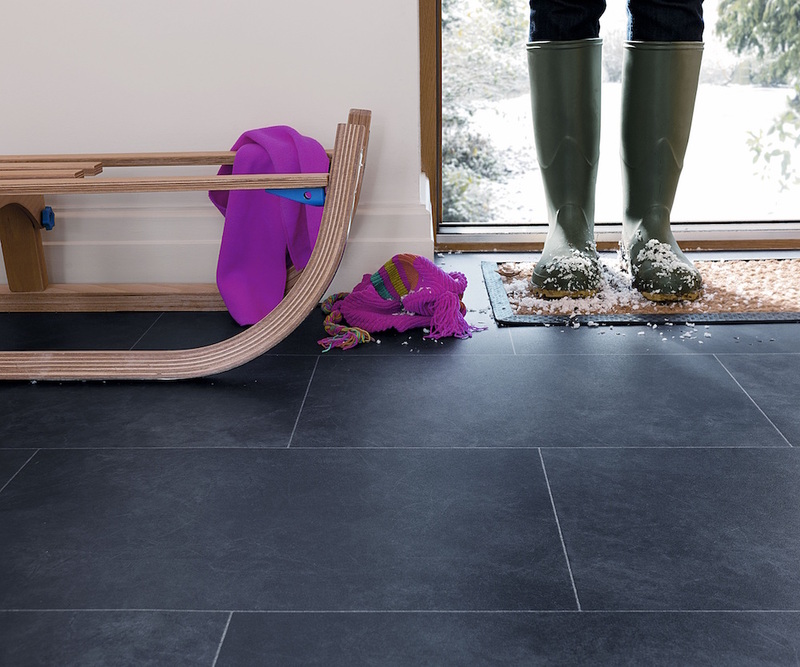 Its great for areas where splashes and spills are frequent thanks to its water-resistance so cushion vinyl makes a great choice for bathrooms, kitchens, playrooms and utility rooms. As a man-made floor, cushion vinyl flooring can closely follow the latest in interior trends, replicating the latest wood, stone and tile looks, as well as more unusual and fun designs that can bring an added dimension to the home. Featuring a textured surface, cushion flooring can look incredibly realistic making it ideal for homes that want the look of natural flooring without the worry. While excellent value, as cushion vinyl is supplied in sizes cut to your room, it is really important that you measure correctly. Don’t forget to accommodate for any wastage and if in doubt make sure you seek the advise of a professional installer.